As the UK prepares to go to the polls, we want to distract you from the politics for a few minutes to celebrate the early successes of the PQIP patient study and update you on some important developments. If you missed the January and March newsletters – you can access them here. Pleaselock your recordsfor patients who have been discharged and all data entered. There is no need to wait 30 days to complete the ‘readmission within 30 days’ box – we have now greyed this out as we will collect this data through linkage with national records. We are recommending thatrecords should be locked within 14 days of patient discharge from hospital. Please note that only locked data will be used in the PQIP quality reports, the first of which will reach you in July. The Clavien-Dindo complications score (Q7.2) – please recordall grades of complication (not just the highest grade).We have changed the option from a ‘radio button’ to a tick box so to enable you to do this.You do not need to retrospectively go back and change records which have been locked. However, in order for us to be able to accurately understand your data, please ensure thatall records for which only the highest complication level has been scored, will be locked by 5pm this Friday, 26th May.For all records locked after this date, we will assume that all levels of complications are being recorded. We have added an option in section 7 to record if a patient decides to withdraw from the study - you will need to record the date ofwithdrawal so that we can understand which (if any) data we are able to use later. Completion of this box will enable you to lock this record. These changes to the webtool are now live. PQIP has recruited its 1000th patient! Congratulations to Torbay Hospital who took us over that early milestone. 52 hospitals have now confirmed capability and capacity to undertake the PQIP patient study and 42 hospitals are now recruiting patients. We want to have at least 70 hospitals on board by the end of 2017 – so if you are not yet started, please look at our website or contact pqip@rcoa.ac.uk for support. 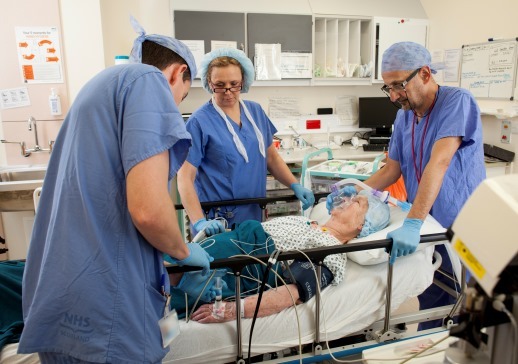 Congratulations to the Whittington, Queen Victoria and Royal Sussex County Hospital for being the latest hospitals to start recruiting patients. Thank you to these centres and to all those getting ready to join the PQIP movement! If you’re not yet on our books – don’t miss out - contact your local R&D department telling them you want to join this NIHR portfolio adopted study (CPMS ID 32256) or contact us on pqip@rcoa.ac.uk and we’ll help you get on board. We are awaiting REC approval for a covering letter which can be sent out to potential PQIP patients with the Participant Information Sheet in advance of them attending Preoperative Assessment Clinic. We will email all PIs and local R&D departments as usual when we have confirmation this is approved. PQIP TV - and Radio! - now Live! More PQIP podcasts and videos will go live this month. 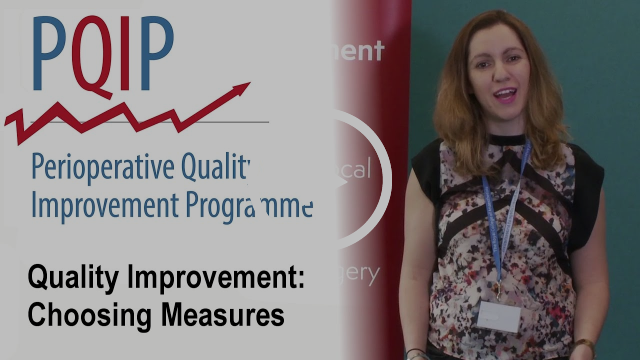 In our latest PQIP TV productions, Maria Chazapis, PQIP fellow, anaesthetist and co-founder of the PRISM-Ed QI training website talks about Measurement for Improvement and Run Charts in two short films. 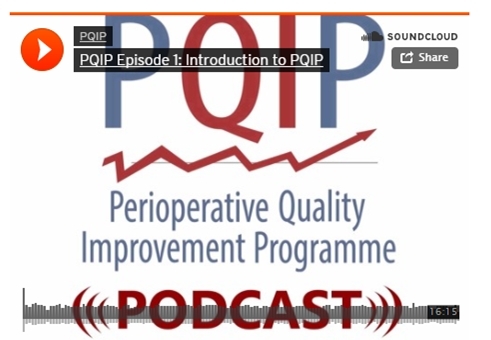 Our new podcast has Leila Nasser, anaesthetic trainee and PQIP Podcast lead from Manchester, talking to PQIP Chief Investigator Ramani Moonesinghe about risk prediction – what tools to use and what pitfalls to avoid. All our films and podcasts are excellent CPD and free to access. Getting logins for as many local collaborators that want them. Ensuring your data entry is contemporaneous. Locking your data as soon as it is all entered and the patient has left hospital. Check out our new tips for Trainee and Colleague Engagement and our Appraisal Form which links to the QI and research objectives in Annex G of the RCoA’s curriculum. 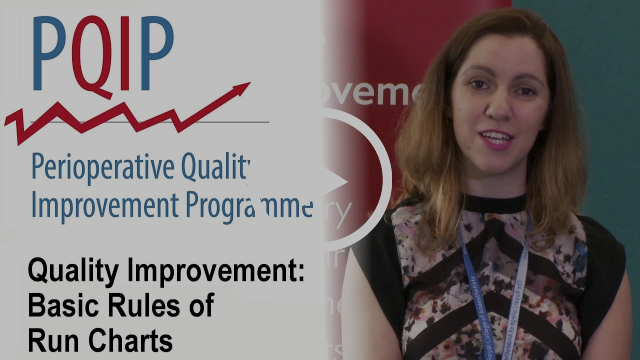 The form can be used by any health professional of any specialty to provide evidence of engagement in research and QI to support their annual appraisal. We hope you find this helpful – please send us feedback on what you think. Look at the dashboard for your hospital, have a think about the data and let us know your thoughts on how it is presented, whether you want any other info on the dashboards etc. We are here to help you, so please give us your feedback. Follow us @PQIPNews on Twitter to keep up with the latest developments. 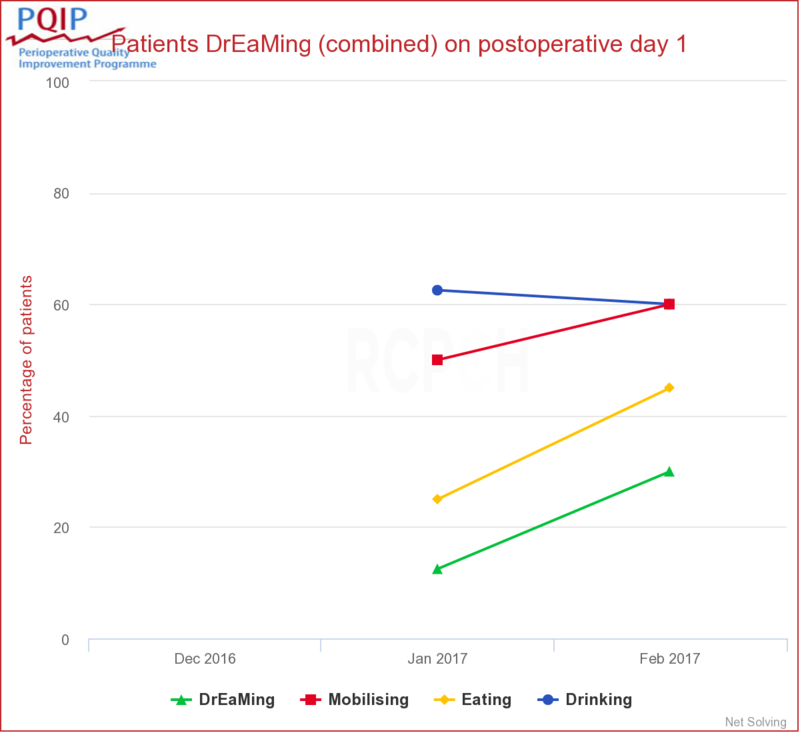 SNAP-2recruitment took place in March and was a huge success for UK anaesthesia and perioperative medicine.If you are a SNAP-2 investigator, please do help make sure that your data is complete and locked – the 60-day follow up window is this week and we need all the occupancy and cancellations data entered and locked ASAP.SNAP-2 will take place in Australasia over our Summer – good luck to our friends Down Under! And finally: if the election is getting you down, check out this 3 minute YouTube video from an electorally under-represented group speaking out about the outcome of the US election. It is pretty funny.